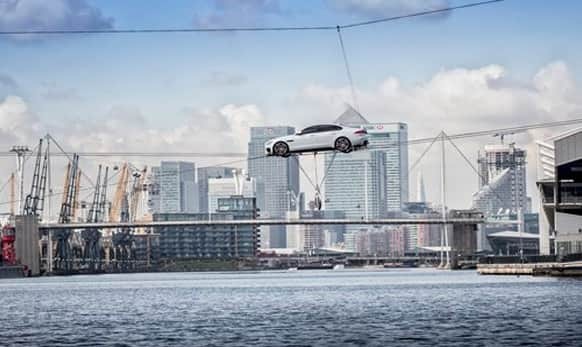 Jaguar XF performs the world's longest high-wire water crossing in the heart of London's business district. 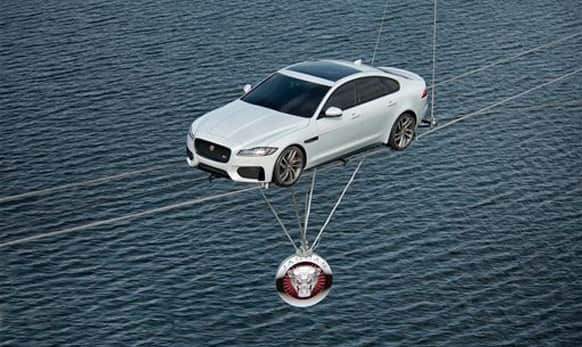 Hollywood stunt driver Jim Dowdall drove the all-new XF. 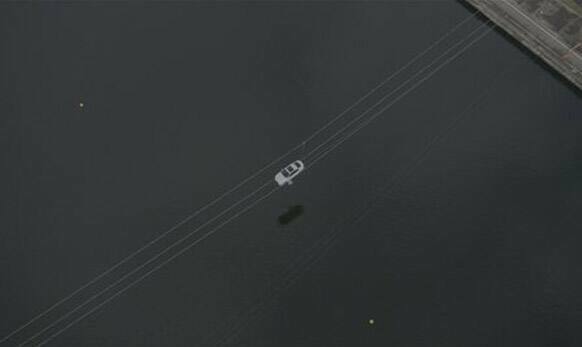 He drove the XF 240 metres across two 34mm carbon wires which were suspended 18 metres above the water. 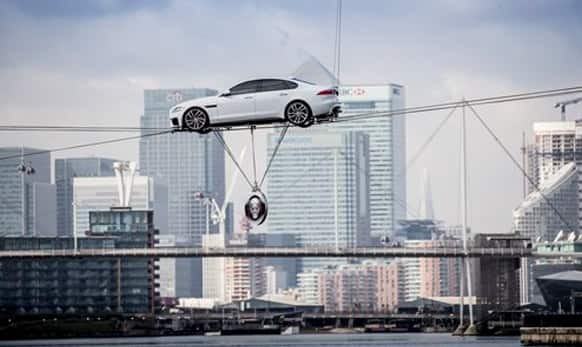 The daring stunt marks the launch of the all-new Jaguar XF. 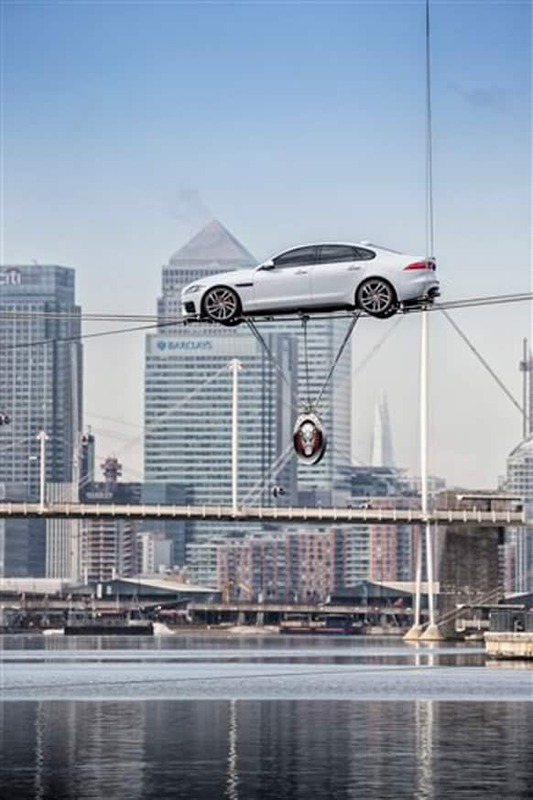 The all-new Jaguar XF is set to make its debut in the New York Auto Show 2015.